Christie’s auctioneers said on Thursday that the so-called God Letter, written by Einstein in 1954, would be placed on public exhibit in San Francisco and New York ahead of the Dec. 4 auction. 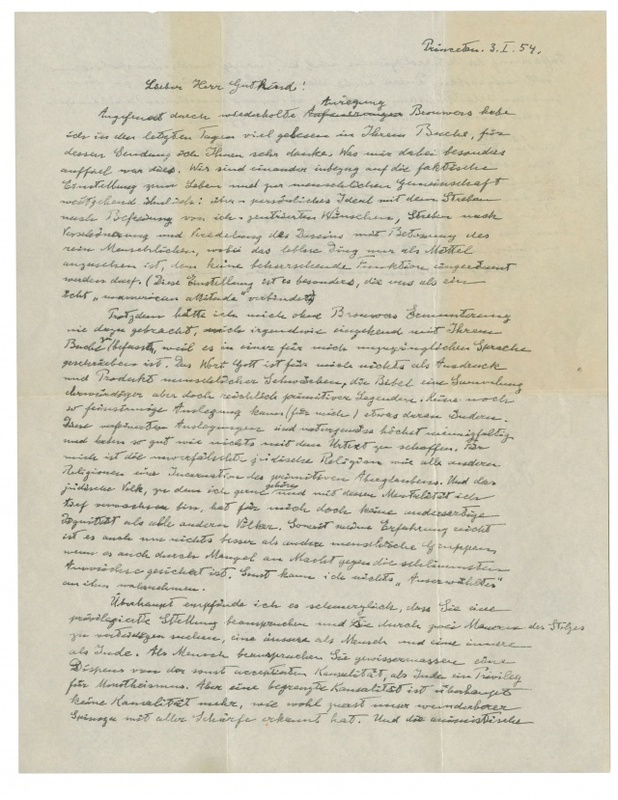 The 1-1/2 page letter, written in German to philosopher Eric Gutkind, is regarded as a key manuscript in the debate over science and religion and is Einstein’s clearest statement of his views on the universal search for the meaning life. “The word God is for me nothing but the expression and product of human weaknesses, the Bible a collection of venerable but still rather primitive legends. No interpretation, no matter how subtle, can (for me) change anything about this,” Einstein wrote. Christie’s placed a $1 million to $1.5 million estimate on the letter. In 2002, the auction house sold a typed letter from Einstein to U.S. President Franklin Roosevelt for $2 million.